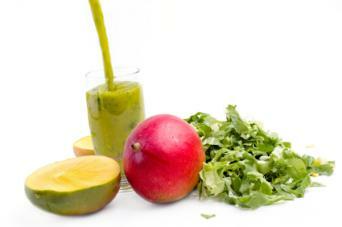 Green smoothies are blended drinks that contain green vegetables combined with water, ice, sweeteners, and/or fruit. The goal of a green smoothie is to provide leafy green veggies in a tempting and delicious presentation, making it easier for people to include more of them in their diets. 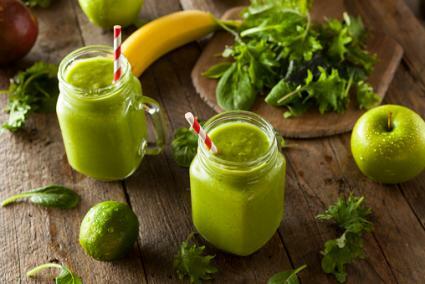 Green smoothies can be suitable for vegetarian, vegan and raw food diets, as long as the ingredients are all suitable to their dietary restrictions. The basic premise of a green smoothie is simple: just combine some green leafy vegetables with fruit and optional sweeteners and additives. Consistency and color will vary between smoothies, as these factors, in addition to taste, are dependent on the ingredients. Each of these recipes makes two 16 ounce servings. 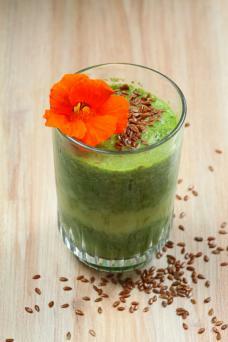 This tangy smoothie uses arugula and lettuce as its base. 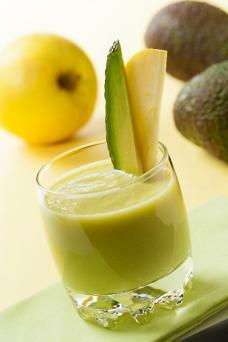 Avocado adds creaminess, while the pear helps sweeten. Place the first five ingredients in a blender in the order listed. Pour enough water to completely cover and pulse the blender a few times to break up the larger pieces. 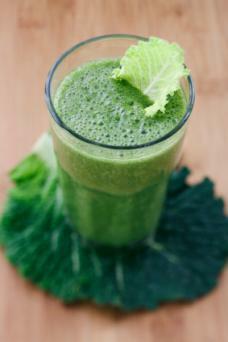 Baby kale adds a slightly sweet taste to this smoothie, without any of the slightly bitter aftertaste of older kale. Place the ingredients in a blender and add just enough water to cover. Pulse the blender to break into smaller pieces, then blend on high until smooth. 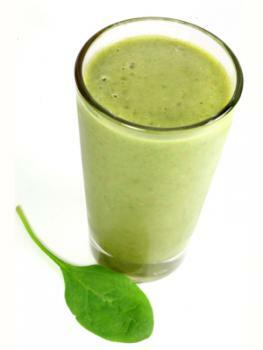 For those who eat dairy, this spinach and yogurt smoothie will add some protein to your diet. Pulse or use the ice function on the blender to break the ice into smaller pieces. Blend on high until well combined and smooth. This kale-based smoothie uses coconut oil, which gives it a rich, decadent flavor and texture. 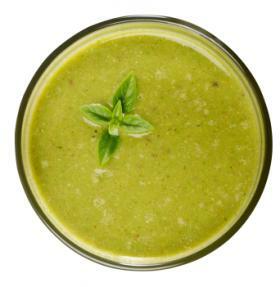 The combination of pineapple and banana in this spinach smoothie gives it an exotic flavor. 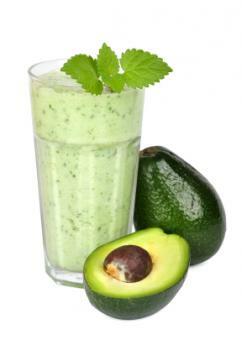 This spinach-based smoothie uses avocado and apple for a fresh, creamy taste. Pour on just enough water to cover. 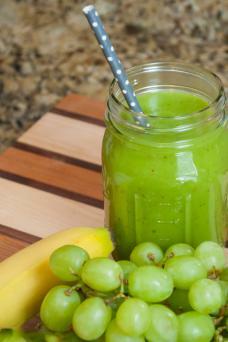 Fresh collard greens and seedless green grapes give this smoothie and unusual combination. Pulse or use ice function to break up the ice. This fresh-tasting smoothie uses apples and lemon juice to give it a tart flavor. 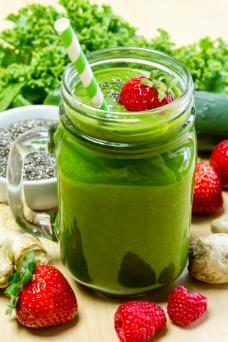 This sweet, creamy smoothie is a great introduction to green smoothies for those who are hesitant to try them. Pulse the blender a few times to break up the fruit. This is a very simple smoothie that uses the sweet taste of strawberries combined with romaine lettuce. Place all ingredients into the blender in the order listed. Pulse a few times to break up the fruit. 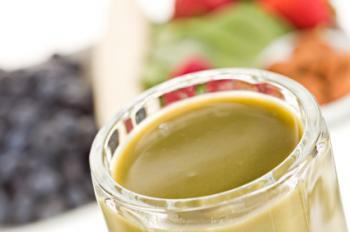 Once you've made a few green smoothies you'll see how simple it is. Start making your own combinations of greens, fruit and additives to create your own, delicious and healthy green smoothies.